At this point it’s getting to be Menlo Park lore to remember what preceded LuLu’s on the Alameda. Known for its “comida fresca” and “salsa caliente,” the now longtime popular eating spot serves up fresh home-style Mexican cuisine. But before the locals began lunching at LuLu’s or grabbing soft tacos and a chopped salad to go, a tennis store held court on that corner. Natalie scampered across the street, confirmed Top Spin was indeed moving and left the tennis store with the property owner’s name and number. 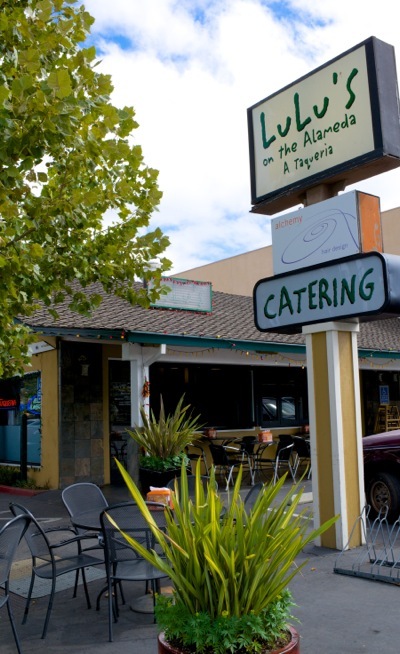 It took a year to put all the pieces together, but in March 2005, LuLu’s on the Alameda opened its doors. Even with the passage of time, Natalie doesn’t romanticize that first year in business. “It was so hard, it was so scary,” she said. “The first three months we hardly slept or ate.” Natalie recalls long days focused on “how to get the food out,” staffing, pay roll and a frequently glitchy POS system — layered on top of raising three children, all in the Menlo Park school system, with her husband, Bracken.